DR. DAN WOLFE HAS JOINED THE ARCCA TEAM! Dr. Wolfe is a forensic scientist and accident reconstructionist specializing in the reconstruction of motor vehicle, pedestrian, and bicycle collisions. He specializes in collisions involving nighttime recognition and conspicuity issues, including headlight mapping of vehicles, illumination from roadway lighting, and nighttime photography. He is certified as a BOSCH Crash Data Retrieval (CDR) technician, and is experienced in documenting evidence utilizing three-dimensional laser scanning. Dan specializes in accident reconstruction, EDR (Black Box) imaging and analysis, pedestrian/bicycle accident analysis, human factors, and nighttime visibility/conspicuity issues. In addition, he also consults with the National Hockey League on issues of player safety. 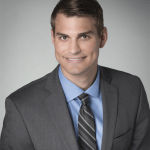 Dan is based in our Philadelphia-area headquarters, but is available to work on cases nationwide. Click here for more information or to view his CV. For help with your next case or claim, contact Dan at dwolfe@arcca.com or by calling 800-700-4944 (toll-free).